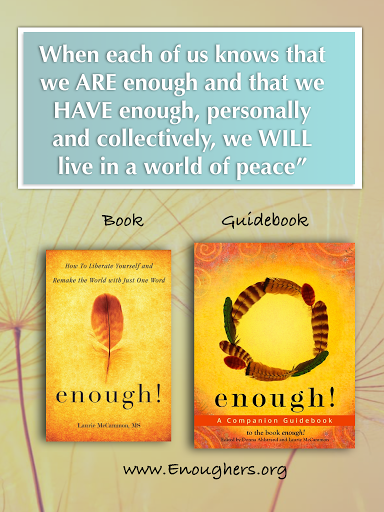 Join me and my guest, Laurie McCammon, author of Enough! How to Liberate Yourself and Remake the World with Just One Word. Ever wonder about the connection between not feeling you are enough and a world where it seems scarcity, competition and fear of not having enough is a cultural given? Laurie’s book and workshops explore the root cause of the collective myth of scarcity and never-enoughness, and how we can shift it right now – from within. 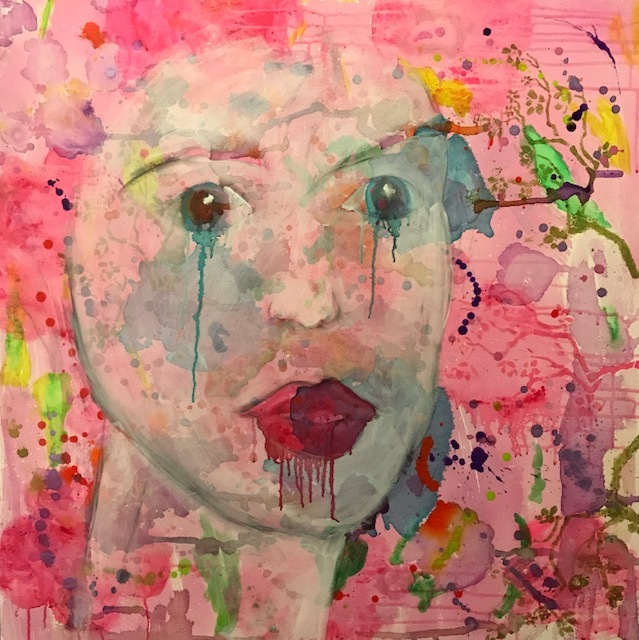 This show’s Art Vision prompt is I Am Enough! based on concepts from Laurie’s book. Let’s proclaim that using our gifts and living from our hearts (and not our heads) is more than enough to connect with our self-worth, harmonious relationships, abundance, and create a better world. Here’s where the Art Vision journal page ended up! 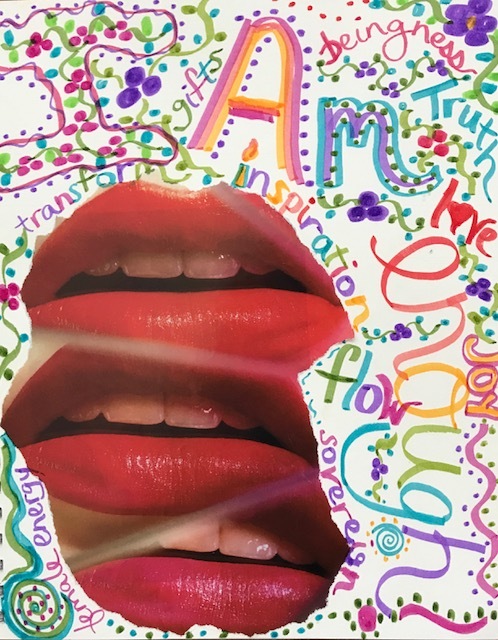 Art Vision Journal Prompt of the Day: I am enough! I used collage and created a word mind-map with colored markers to remind myself of the concepts that I need to live based on Laurie McCammon’s book, Enough! How to Liberate Yourself and Remake the World with Just One Word. 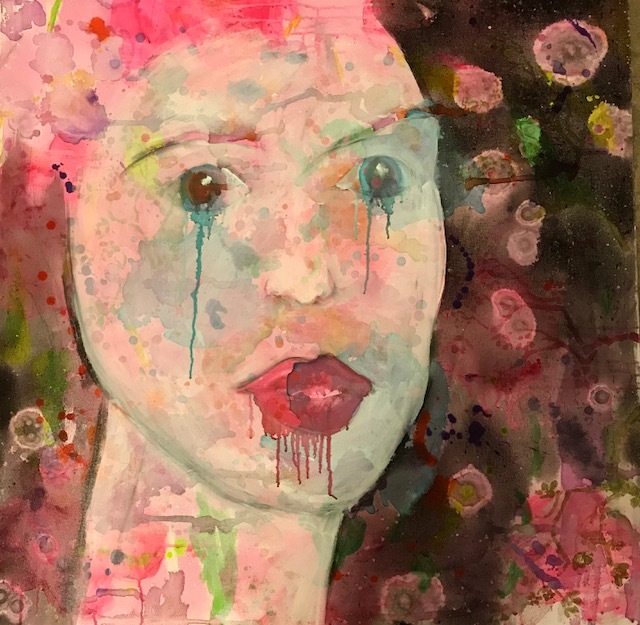 art visioning prompt: I Am Enough! Select magazine photos, words, quotes, etc. that symbolize your Enoughness. What can you create to remind you to live from a place of love, abundance, harmonious connection with others and the Universe (even if that means setting boundaries around toxic relationships), flow, inspired action, joy along your journey, sharing your gifts and talents with the world, self-acceptance, willingness to evolve toward your True Self? Create a beautiful reminder that you are exactly where you need to be on your life path. You are a beautiful work in progress. You are enough! 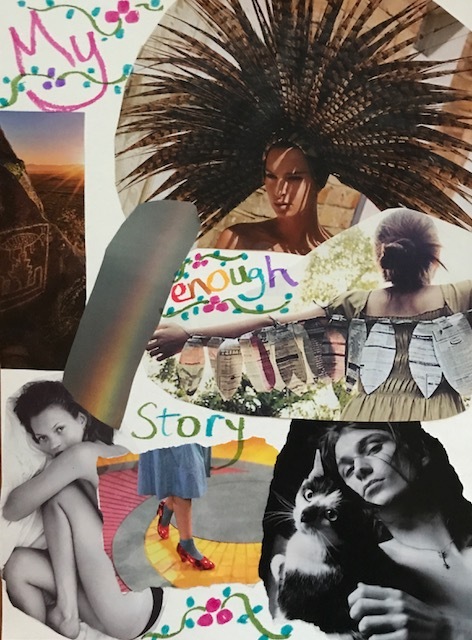 Contemplate the Art Visioning prompt of I Am Enough.